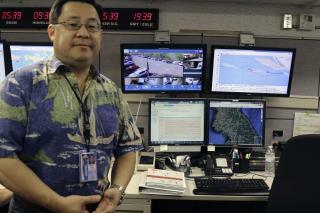 (Newser) – The emergency warning officer who accidentally sent Hawaii an incoming missile alert has been receiving death threats and is "not doing well," says the executive officer of the Hawaii Emergency Management Agency. Toby Clairmont tells the Honolulu Star-Advertiser that the employee, a 10-year agency veteran, has received "dozens of death threats by fax, telephone, social media." The worker, who has been reassigned to other duties, is "distraught that they've received death threats," Clairmont says. "This is hard. What can be worse than this? Running over a child in a crosswalk and you realize you did it? It's that kind of feeling," he says. "This employee is not doing well. We need to help them, too." Shows a serious weakness in the early warning system. If people can go bananas and are seriously disturbed to the point they lose all integrity by making death threats, then what will happen if a real deal missile is launched? Might be a serious argument for dismantling the thing since there is zero preparation for a missile attack and only confused, enraged panic and despair. This was a horrendous mistake but not worthy of death threats. Come on people let the punishment fit the crime. He/she should be fired but stop hating just to hate! This person will be paying for this mistake for a long time to come. I saw this on the news this morning and LMAO about the password post it, not the death threats to other guy though. That's just awful..